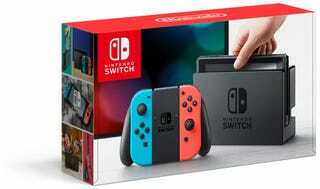 So good news for anyone that thought they wouldn’t be able to find a Nintendo Switch for months. The current president of Nintendo, Tatsumi Kimishima, has stated that they will be increasing production of the Nintendo Switch. This is a good sign considering Nintendo has a bad habit of creating artificial scarcity with things like amiibo and the NES Classic. They claim the latter was simply them not expecting it to be as demanded as it was, but we all that’s a lie, especially since they just sent out more and my local GameStop literally only got three of them which were sold out in less than 15 minutes and we likely won’t see anymore for another few months. So hearing that Switch production is ramping up is a good sign that there will be steady stream post-launch. We’ve heard before that Nintendo ordered something like 3 million Switch screens so if that’s any indication of the demand I think the Switch will be off to a far better start than the Wii U. Whether or not it can keep up that sales momentum will be key.